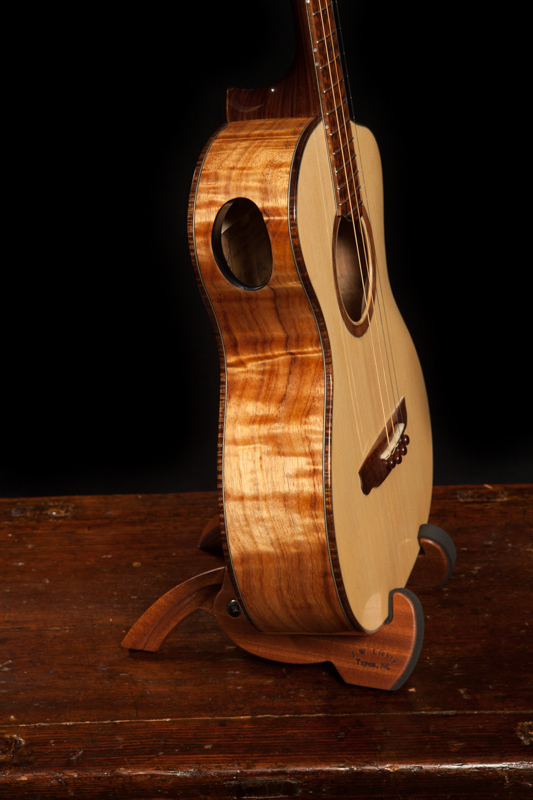 Our Steel String Baritone Ukulele fits in perfectly between our nylon string baritone ukulele and our steel string versions of our small-bodied guitars, like our Dream and Parlor guitars. 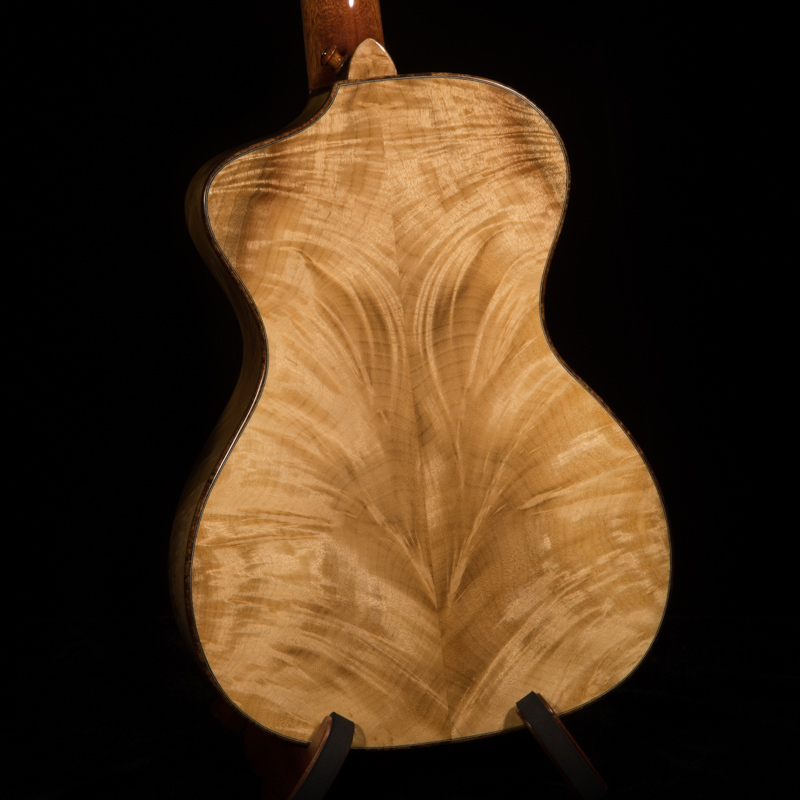 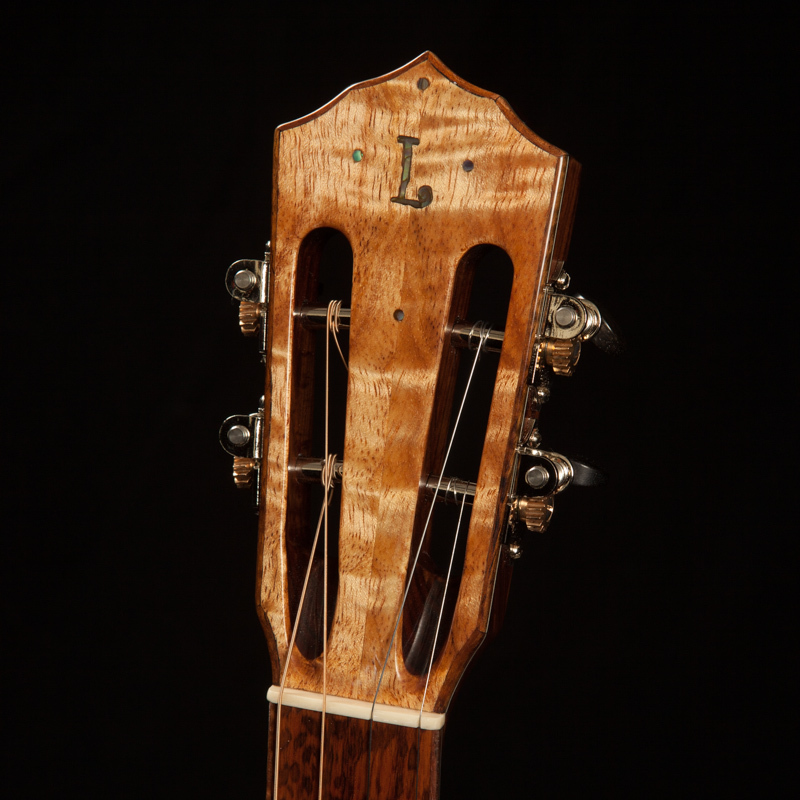 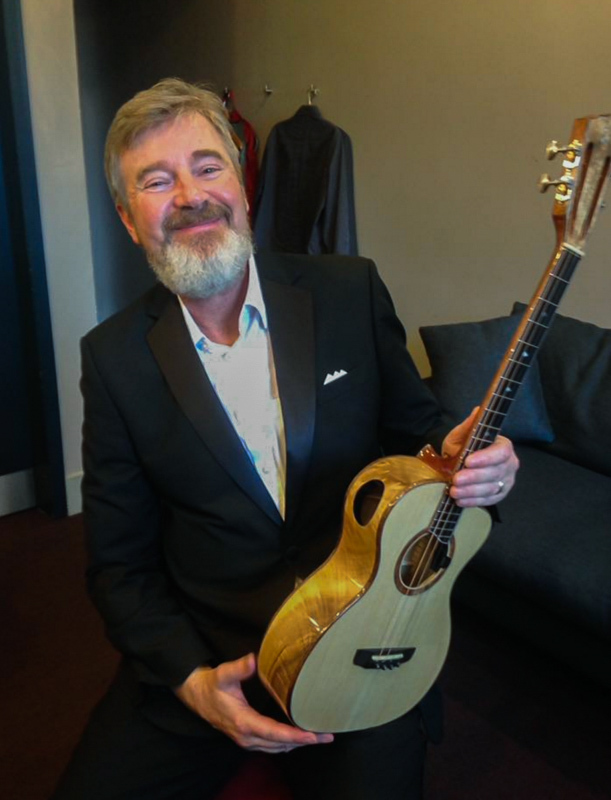 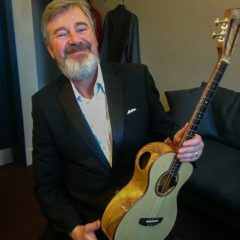 While the steel string ukulele may be one of the new kids on the block in the ukulele world, two musicians are out to change that – Jay and Richie Williams, founding member of The Ukulele Orchestra of Great Britain. 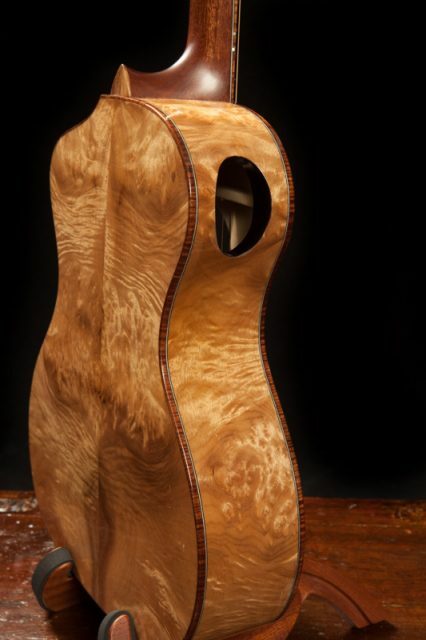 Both of these guys love their Lichty steel string baritones. 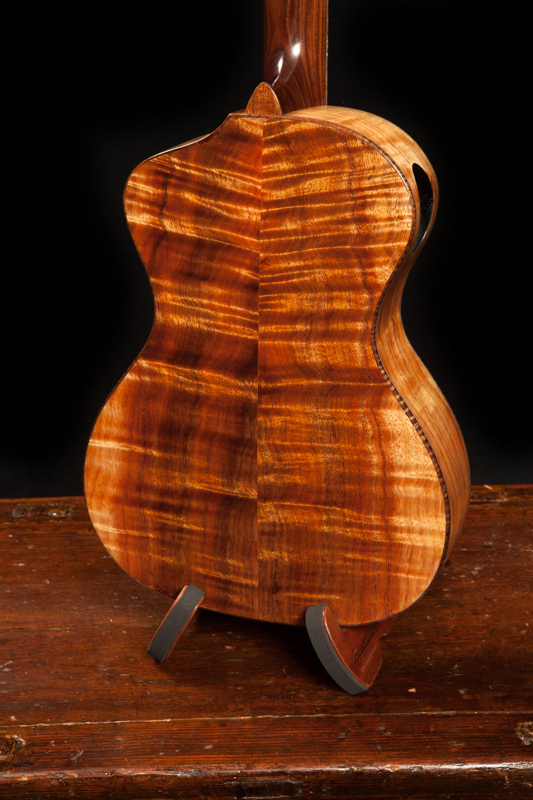 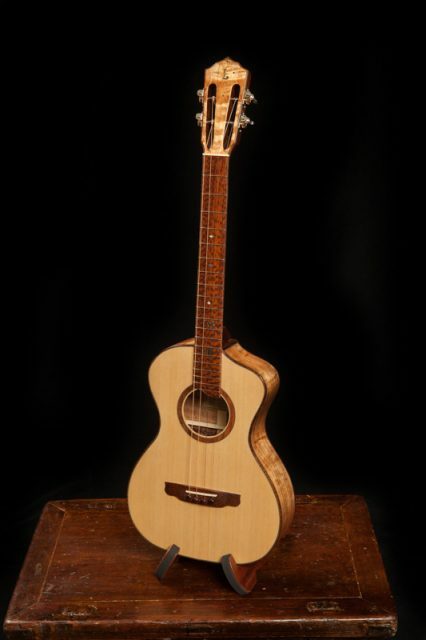 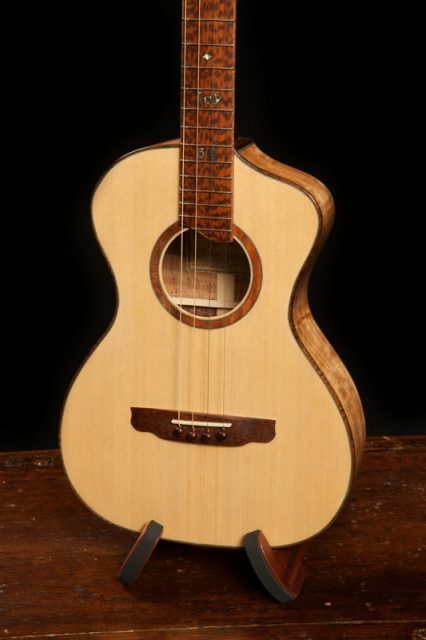 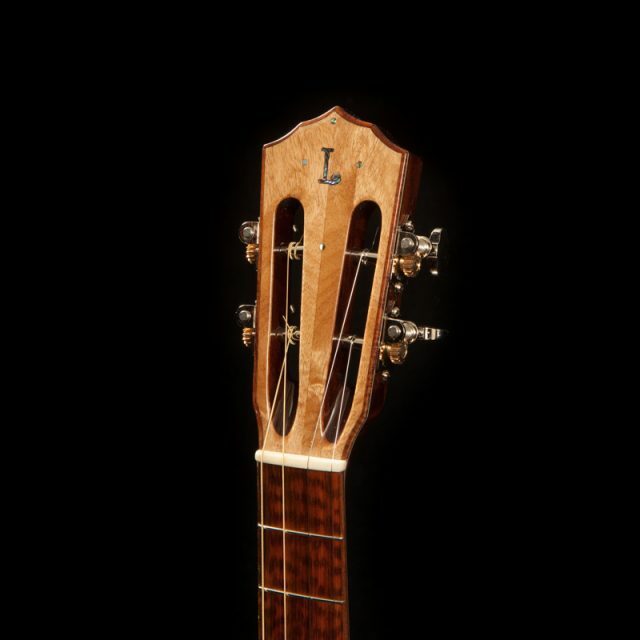 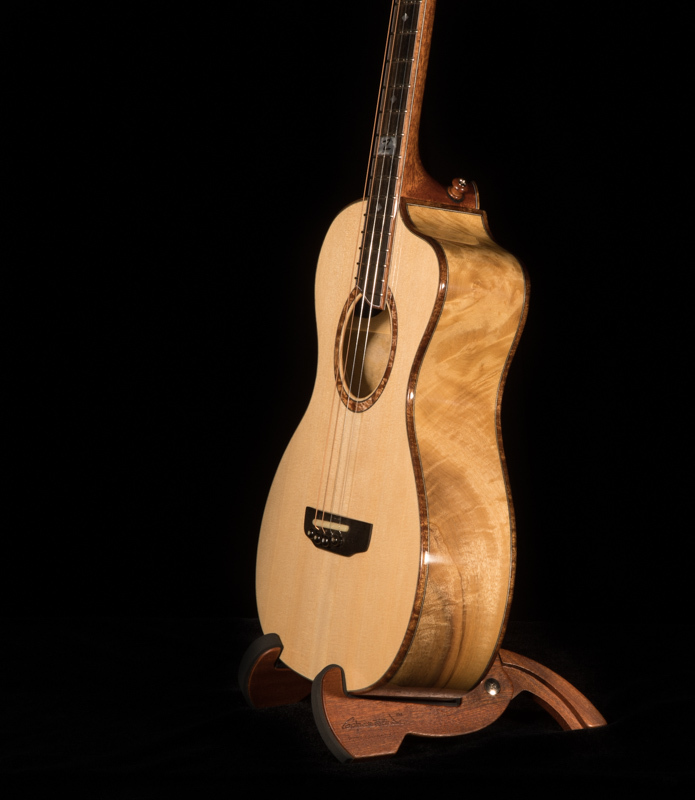 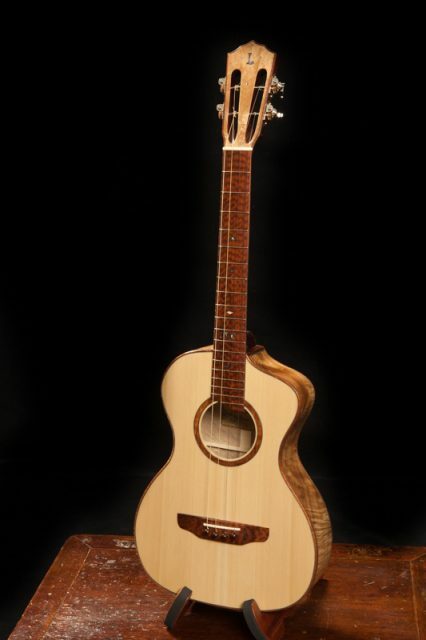 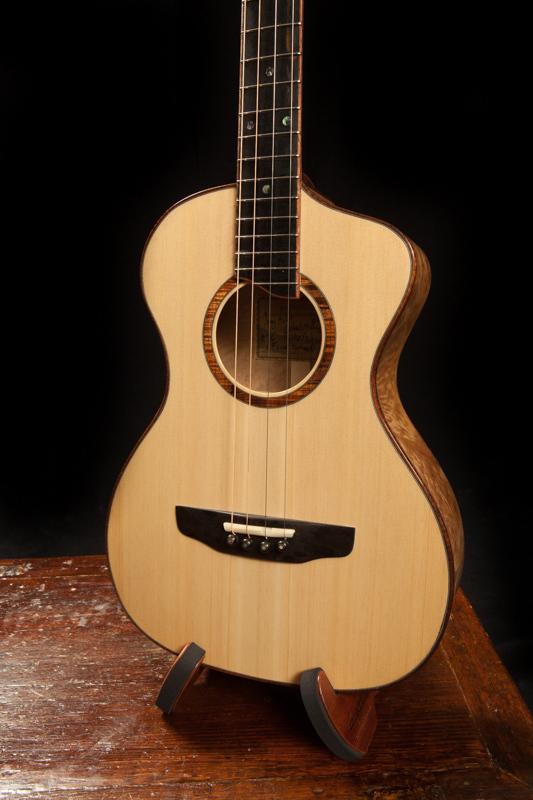 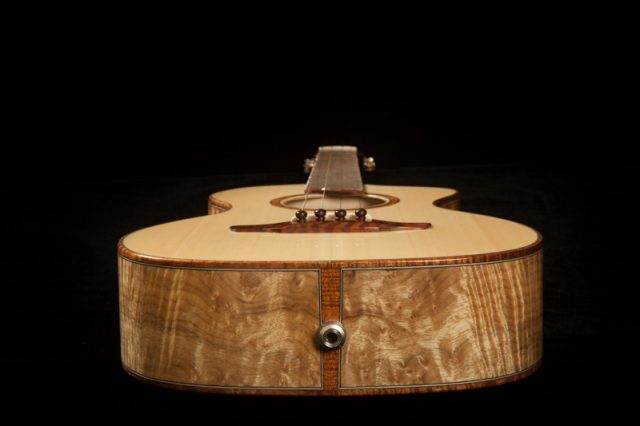 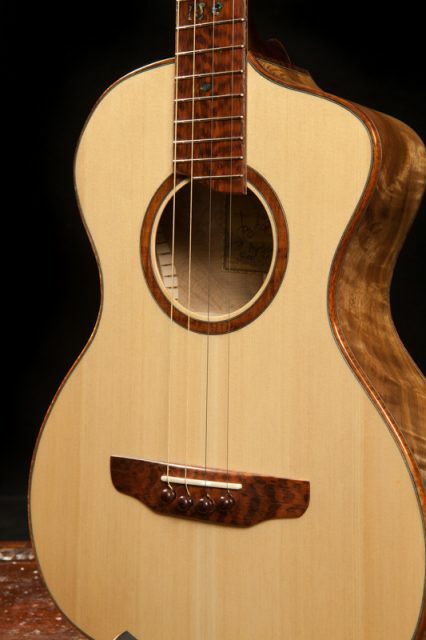 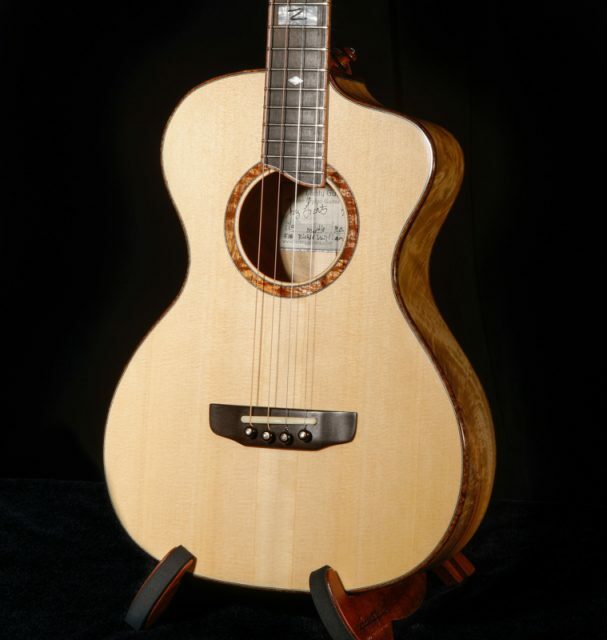 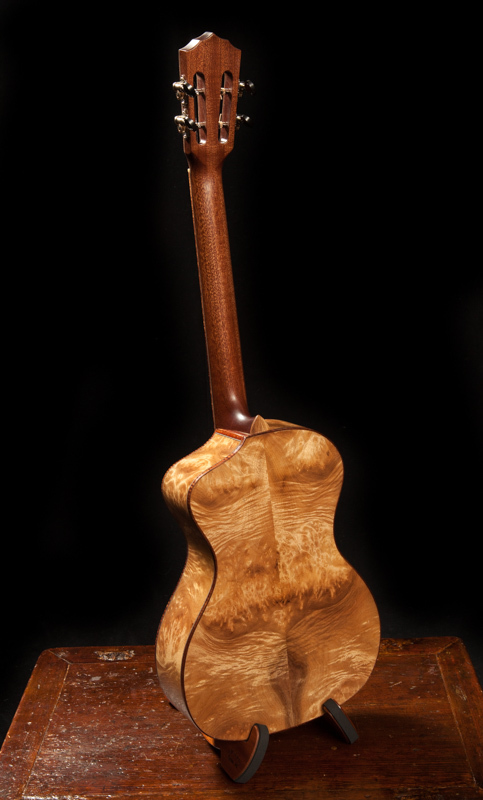 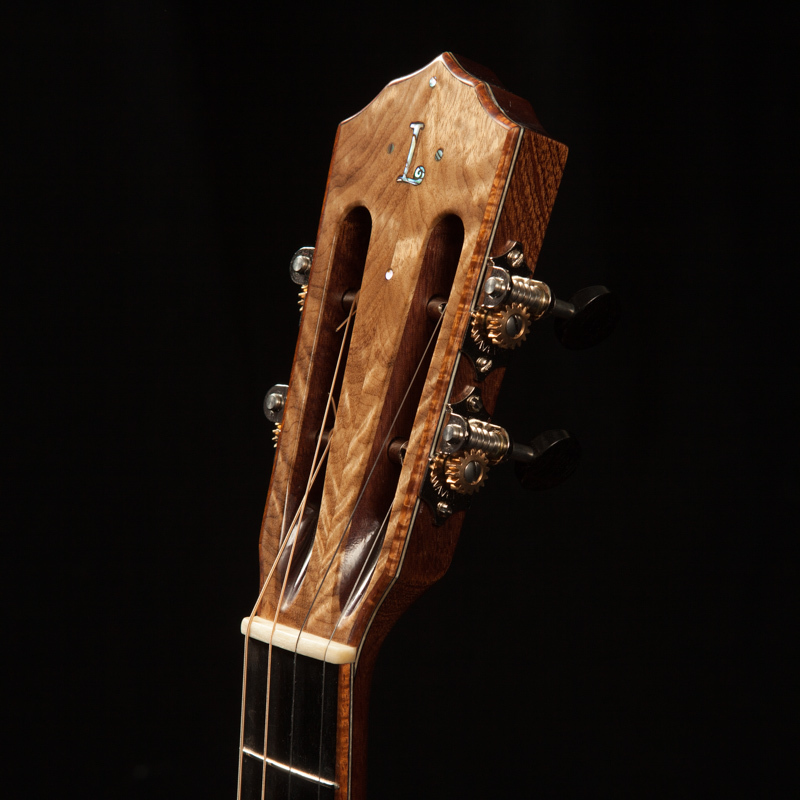 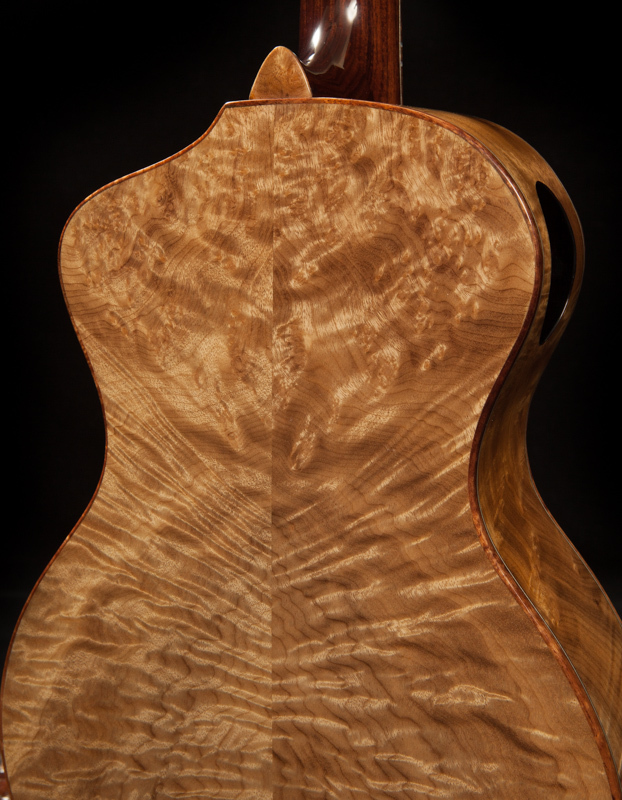 A note of caution – because most baritone ukuleles are designed for nylon strings and not steel, we do not recommend putting steel strings on a regular baritone unless you consult with the builder or manufacturer. The design and bracing may not be able to handle the extra load and tension.